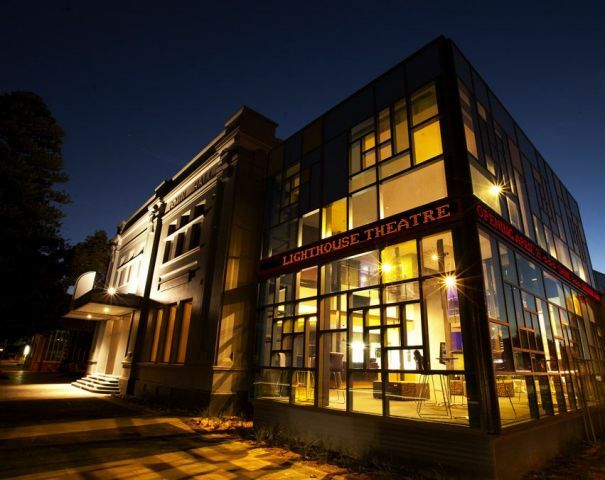 The tired and faithful Warrnambool Entertainment Centre has been transformed into the elegant Lighthouse Theatre. Now open for a year, the community is attending in record numbers. David Spicer reports. Warrnambool is at the end of the Great Ocean Road, just over three hours from Melbourne. It has a population of just under 35,000 and in May more than 5500 tickets were sold to 18 different productions at the venue. If you do the sums that’s like one venue in Melbourne selling 600,000 tickets! The original Warrnambool Town Hall was opened in 1891. It was re-launched in 1983 as the Warrnambool Entertainment Centre. The Manager Greg Diamantis says in recent times the shortcomings were very apparent. A healthy nine million dollars was raised from Local, Federal and State Governments as well as a substantial contribution from philanthropic organisationsto upgrade the theatre. They were pleased that it was delivered on time and on budget. The most significant improvement was to add a second theatre space, a black box space for 140 people, which is being used for drama, intimate music and cabaret. The venue also got completely new seating, massive upgrades to stage lighting a new sound system, an improved fly tower, upgraded dressing rooms and a lift for the less mobile patrons. Other changes to its exterior helped make it more attractive. A key to the success of the project has been attention to detail, to make it suitable as a performing space for patrons and performers. The Audio Visual project manager was Gavin Hulme from MultiTek Solutions. He says venue builders need to be very careful to engage people who have theatrical experience. Recently his company had to rebuild much of the work completed on a regional venue where problems included microphone interference because the cables were wrongly installed. 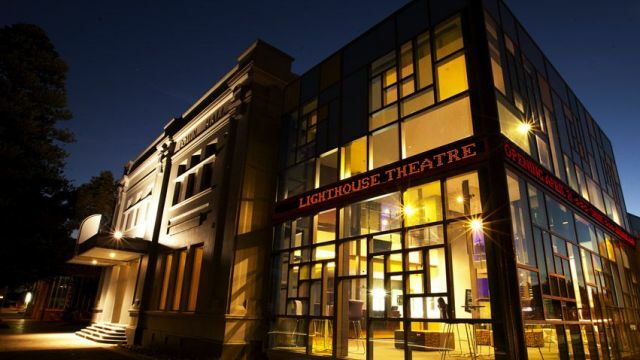 Gavin Hulme says a year after the Lighthouse Theatre has been built there have been very few call backs to rectify problems. The new technology has though forced community groups to improve their skills. Greg Diamantis says he saw a local High School perform Fame (pictured left) in the upgraded venue and compared it to their work the year previous in a school hall. But he says the Council run venue has been careful not to raise hire prices. “Our community hire rate remains low. We have a three-fold purpose: supporting community work, presenting great touring productions (opera, ballet and theatre companies) and commercial hire for comedians and musicians. “We have been lucky enough to attract a lot more commercial activity and are getting good audiences for a lot of it. Originally published in the July / August 2013 edition of Stage Whispers.